Arden Miller, a Vice President, Consulting Services with QueBIT, brings demonstrated achievements in analytical and problem-solving skills and exceptional leadership abilities. She has 14 years of experience designing and implementing IBM Cognos TM1 decision support systems. Her experience includes requirements gathering, design, implementation, evolution and support of global forecasting and demand planning systems to track risk assessment, forecast accuracy, margins, and achieve overall business objectives. Her successful collaboration with finance, information technology & other organizations has contributed to optimized effectiveness, increased productivity, improved efficiency, and reduced overall cost for many clients. 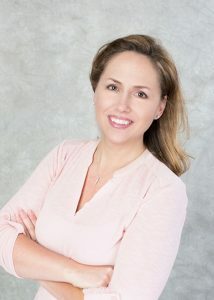 Arden possesses strong oral and written communication skills and has obtained various IBM Cognos TM1 certifications.